On March 19, the Internet went wild when Pixar unexpectedly dropped a full-length trailer for its upcoming film, Toy Story 4. 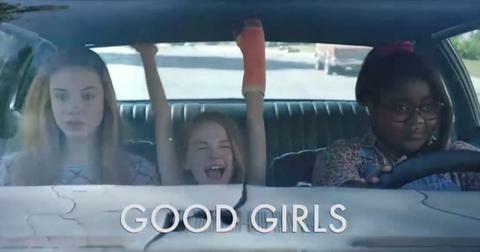 The latest installment, which hits theaters on June 21, comes nine years after we saw the beloved franchise characters successfully escape Sunnyside Daycare. One of the biggest surprises in the trailer is the reemergence of Bo Peep, who served as Woody’s love interest in the first two movies. 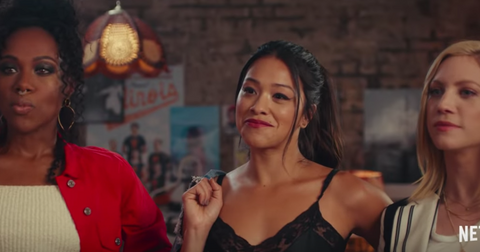 Not only does the former damsel in distress have a whole new look, but she’s also shaping up to be Toy Story 4’s main heroine. Here’s what we know about Bo Peep’s evolution from supporting player to leading lady. What happened to Bo Peep in Toy Story? We were first introduced to Bo Peep in Toy Story (1995), and right off the bat, you could tell that the shepherdess and Woody were crushing pretty hard on each other. 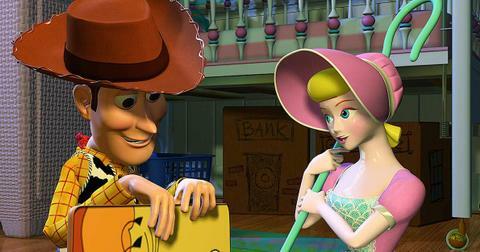 Unlike the other toys, Bo Peep stands by Woody the entire film, never believing that he would hurt Buzz. In the end, she's instrumental in helping Woody and Buzz catch up with the moving truck. 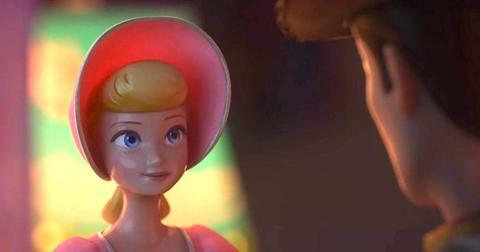 In Toy Story 2 (1999), Bo Peep is depicted as one of Molly’s toys, seemingly suggesting that Andy gifted her to his little sister. Though they’re now in different rooms, Bo Peep still makes an effort to go see Woody. When did Bo Peep leave Toy Story? 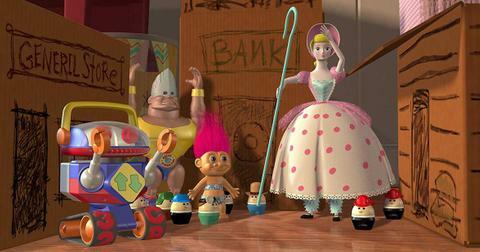 The character did not appear in Toy Story 3 (2010), though her absence was mentioned in the beginning of the film. Now that Andy and Molly are grown, Woody acknowledges that they’ve lost a few special toys along the way — including Bo Peep — who have either been given away, sold in yard sales, or thrown out. We never hear where Bo Peep ended up, but based on the new trailer, it looks like the porcelain figurine has been holed up in an antique shop... with a bunch of creepy ventriloquist dolls! Which actress voices Bo Peep? Annie Potts once again reprises her role as Bo Peep after voicing the character in the first two movies. In a recent interview on Good Morning America, the 66-year-old teased, "Bo’s got some 'tude now." The Ghostbusters star also talked about getting to record her lines with Tom Hanks (who voices Woody) in the studio. "You usually do it alone, but Tom and I got to work together quite a bit on this one," she shared. The film was originally supposed to be released in 2018, but got delayed after Pixar allegedly threw out three-quarters of the script. 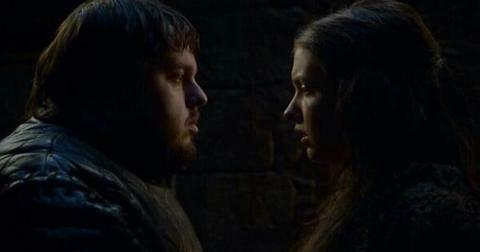 "Usually, it takes — from start to finish — two years. But because they threw most of it in the bin and started over [my time on the project was] extended a little bit. I’ve done a lot of work on it," Annie told Radio Times last year. "They’re funny those Pixar people. They just take their time," she added. "It’s very painstaking work. If they don’t like whole sections then they just chuck it and start over again. They have that great creative liberty to do that." Toy Story 4 will be released in theaters on June 21, 2019.